Utah lawmakers have passed a bill that would make it the only state to allow firing squads for carrying out a death penalty if there is a shortage of execution drugs. The passage of the bill by the state Senate on Tuesday comes as states struggle to obtain lethal injection drugs amid a nationwide shortage. The bill gives Utah options, he said. "We would love to get the lethal injection worked out so we can continue with that but if not, now we have a backup plan," Ray told The Associated Press. Opponents, however, said firing squads are a cruel holdover from the state's wild West days and will earn the state international condemnation. "I think Utah took a giant step backward," said Ralph Dellapiana, director of Utahns for Alternatives to the Death Penalty. He called firing squads "a relic of a more barbaric past." Dellapiana said the legislature should be discussing whether, not how, to execute citizens. Whether Ray's proposal will become law in the conservative Western state is unclear: Utah Gov. Gary Herbert, a Republican, won't say if he'll sign the measure. His spokesman, Marty Carpenter, did issue a statement this week acknowledging that the method would give Utah a legitimate backup method if execution drugs are unavailable. Utah American Civil Liberties Union representative Anna Brower said the organization is still holding out hope that Herbert will not sign the bill. The legislation would make Utah "look backwards and backwoods," she said. Salt Lake City Democrat Gene Davis was the only one to speak. He said he was voting against the bill because it "only puts another alternative on the table" instead of doing away with executions altogether. Ray said he didn't expect much debate on the proposal because it seemed many lawmakers had made up their mind about the idea from the start. 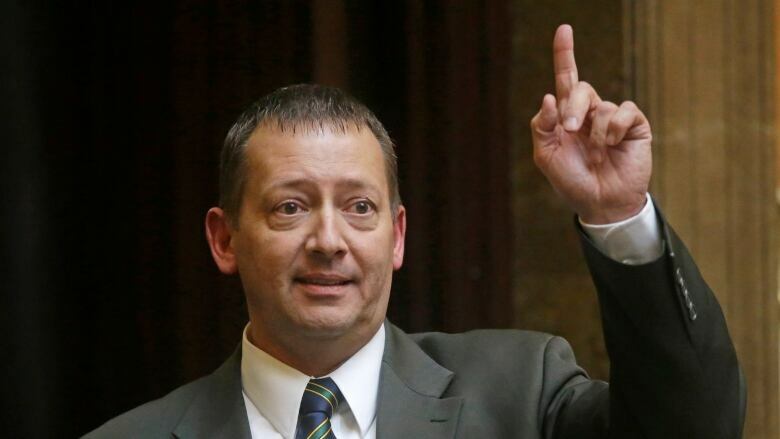 A few were persuaded to support it once they learned Utah law already calls for the state to revert to the firing squad if a court ever declares lethal injection unconstitutional, he said. The legislation would reinstate the use of firing squads more than a decade after the state abandoned the practice. Utah is one of several states to seek out new forms of capital punishment after a botched Oklahoma lethal injection last year and one in Arizona that took nearly two hours for the condemned man to die. Legislation to allow firing squads has been introduced in Arkansas this year. In Wyoming, a measure to allow firing squads if the lethal drugs aren't available died. In Oklahoma, lawmakers are considering legislation that would allow the state to use nitrogen gas to execute inmates. States across the country have struggled to keep up their drug inventories as European manufacturers have refused to sell the lethal concoctions to prisons and corrections departments because of their opposition to the death penalty. Texas' supply will be used up if the state goes forward with two lethal injections in the next two weeks. The Texas deadline is the most imminent, but other states are struggling, as well. The head of Utah's prison system has said the state does not have any lethal injection drugs on hand and would have to obtain some in the years ahead if an execution were to be scheduled. States turning to alternative drugs have been faced with legal challenges from inmates, something Ray has said Utah could sidestep if it has a backup execution plan in place. Utah lawmakers, concerned about intense media attention, stopped offering inmates the choice of a death by firing squad in 2004. A handful of inmates on Utah's death row were sentenced before the law changed and still have the option of going before a firing squad after their court appeals are exhausted. The first U.S. inmate executed after that ruling was Gary Gilmore, who was killed by firing squad in early 1977.